In his inaugural address at the Sixth Ministerial �Heart of Asia� Conference at Amritsar, represented by some 30 countries and international and regional organisations and co-chaired by Finance Minister of India and Minister of Foreign Affairs of Afghanistan, Prime Minister Narendra Modi made the following major points: need to demonstrate strong and collective will to defeat terror networks that cause bloodshed and spread fear; resolute action not just against forces of terrorism but also against those who support, shelter, train and finance them since silence and inaction will only embolden terrorists and their masters; the growing arc of terrorist violence is posing the gravest threat to the region, and; India is committed to a developed and stable Afghanistan. 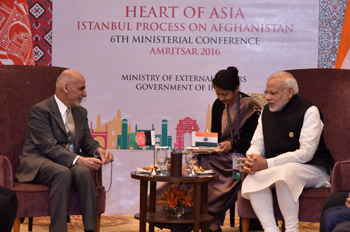 Modi said, �On India�s part, our commitment to our brave Afghan brothers and sisters is absolute and unwavering. The welfare of Afghanistan and its people is close to our hearts and minds.� One highlight of the conference was that for the first time, a Heart of Asia (HoA) Declaration expressed concern at the violence caused in Afghanistan and the region by Pakistani proxies and other terrorist groups. The HoA Declaration addressed a whole range of issues, but with main focus being stability of Afghanistan and terrorism, following were highlighted in this respect: reaffirmation of importance of HoA for political dialogue and close regional cooperation aimed at promoting stability, peace and prosperity in Afghanistan and entire HoA region; reaffirmation of commitment UN Charter and Universal Declaration of Human Rights; commitment to resolving differences peacefully and non-interference in internal affairs of other countries; commitment to strengthen cooperation among Member States; support for constructive efforts of the Afghanistan Government towards regional engagement and building environment of trust and confidence throughout the region; appreciation of commitment of the international community for supporting Afghanistan; welcome Afghan National Defence Forces (ANDSF) in fighting terrorism, and agreements between International Community and Afghanistan allowing financial support to ANDSF until 2020 and assistance by post-ISAF mission; welcoming development assistance commitments by over 100 countries and international organisations to Afghanistan; appreciating efforts by OIC and Afghanistan towards lasting peace and stability in Afghanistan; concern over gravity of security situation in Afghanistan and the region and high level of violence caused by Taliban, terrorist groups including ISIL/Daish and its affiliates, Haqqani Network, Al Qaeda, IMU, ETIM, LeT, JeM, TTP, Jamaat-ul-Ahrar, Jundullah and other foreign terrorist fighters; acknowledging terrorism as biggest threat to peace, stability and cooperation in the region; strong call for concerted regional and international cooperation to ensure elimination of terrorism; call upon all states to take action against terrorist entities in accordance UN Global Counter Terrorism Strategy 2006; belief that efforts to eliminate terrorism will not succeed without concerted and coherent regional approach involving all HoA countries; reiteration of support to Afghan Government�s efforts to advance an Afghan-led, Afghan-owned peace process, urging countries who have leverages and influence to help bring Taliban to the negotiation table. Afghan President Ashraf Ghani expressed gratitude to India for unconditional support saying, �India�s help is transparent with no strings attached�. Sartaj Aziz, Pakistan�s de facto Foreign Minister, said at the HoA that blaming Pakistan for terrorism was �simplistic�, while he continued to link the situation in Afghanistan to Kashmir. Before the conference, Aziz had stated that onus for calling for Indio-Pak bilateral dialogue on sidelines of the HoA conference was on India. But there is no such precedence and India had already clarified that terror and talks can�t go together. Sartaj did manage walking to the dinner venue at HoA with the National Security Advisor (NSA) Ajit Doval, which Pakistan is trumpeting as a bilateral meeting, but India has denied any meeting took place. Surprisingly, Russia, special envoy to Afghanistan, Zamir Kabulov said at the HoA conference that allegations made against Pakistan by India and Afghanistan are totally baseless, and criticising Pakistan is wrong. He appreciated the speech by Sartaj Aziz, calling it constructive and friendly. This change of tack by Russia could be because Pakistan may have assured Russia of not supporting Islamic fundamentalism in Chechnya, in addition to pursuing a bilateral defence pact. But this clearly brings out Russian support for �good� terrorists of Pakistan � very much like China. Recently, Sartaj Aziz had announced Pakistan setting up a high-level committee to formulate �a doable and sustainable� policy to highlight the Kashmir issue globally, described by Dawn as �reaching out to Indians who are opposed to Prime Minister Narendra Modi�s �extremist policies�.� This committee is to consist of senior officials from the Ministries of Defence, Interior and Information, the Military Operations Directorate, ISI and IB—none from the Ministry of Foreign Affairs. 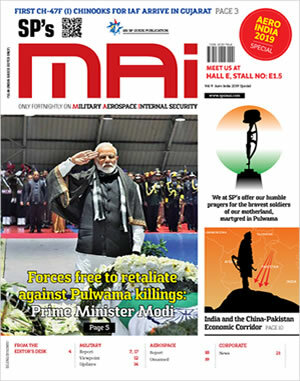 Obviously, the unstated aim would be to destabilise India as much as possible through increased terror, on balance, the HoA conference has ushered a new phase in India-Afghanistan relations, even as Russia appears to be now siding with Pakistan�s state policy of terrorism.